These sweet and mild flavored cousins of the onion are easy to grow in your garden. 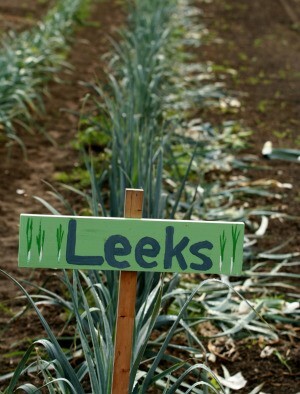 This is a guide about growing leeks. Leeks are vegetables in the Allium family related to both garlic and onions. Their appearance is that of a large green onion, although they have a milder, subtler flavor. They are typically grown for use as a side vegetable. Leeks are cold hardy and can be started indoors 12 weeks before the last frost date or sown directly into the garden then the soil reaches 40ºF-usually well in advance of the last frost date. Crops intended for winter harvest should be planted in the summer. deep, well-drained, nutrient-rich soil with a pH of 6.5 to 7. Transplant pencil thick seedlings into 2 to 3 inch holes spaced 6 inches apart. Rows should be spaced 18 to 24 inches apart. Leave enough room between plants so that soil can be periodically mounded up around the stems to keep them blanched (white). Seeds sown directly should be planted deep (3 to 4 inches) so that plants develop a long shaft. Keep soil evenly moist (not wet). As plants grow, mound up the soil around the shaft to keep leaves tender and pale. Harvest leeks when they reach the desired size. Keep them in the refrigerator for up to 3 weeks or store them in a box of moist sand for up to two months. 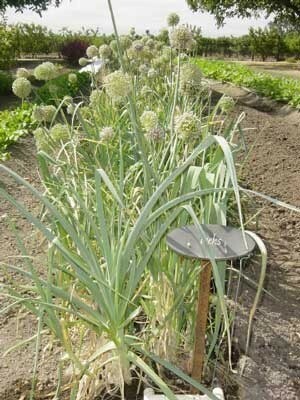 Leeks can stay in the ground all winter in areas where winter temperature stay above 10ºF. Leeks are relatively pest and disease-free. Watch for onion thrips and remove with a hose if necessary. 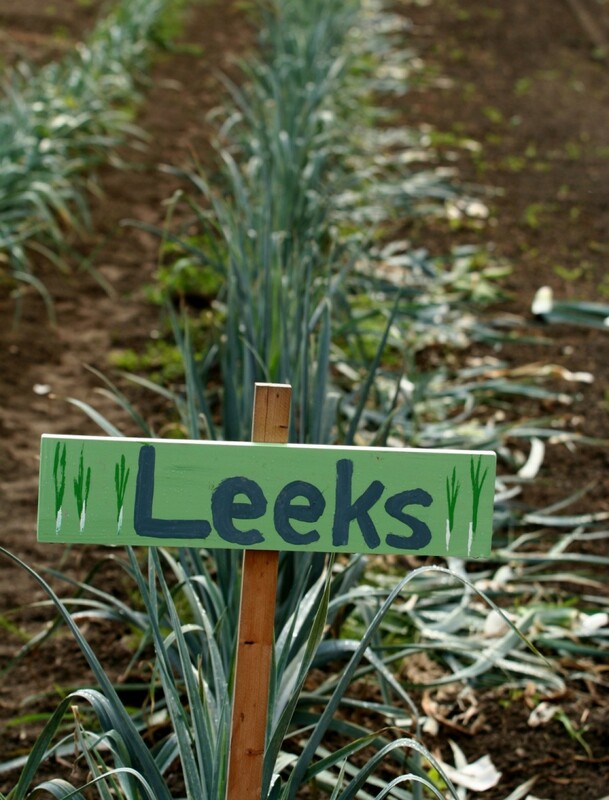 Leeks can be difficult to clean if dirt becomes trapped between their leaves during harvesting. To avoid this, pull the soil away from the shaft before digging out the plant. Let a few plants reseed themselves each year for next year's crop. The leeks in my garden have gone to seed. Can I still use and or freeze them?